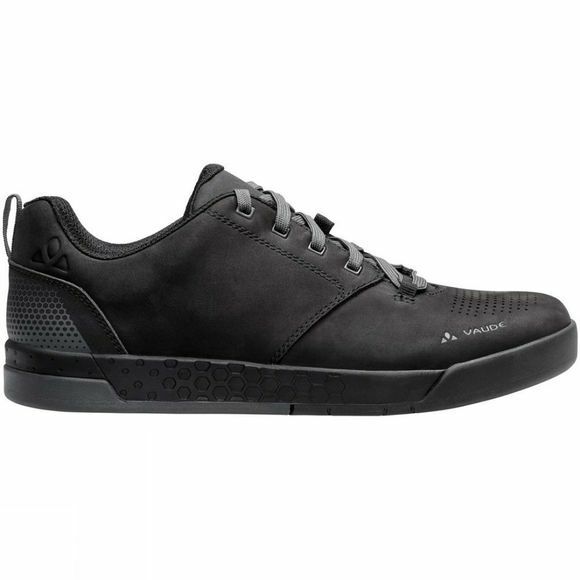 Your flat pedal shoes for daily wear. 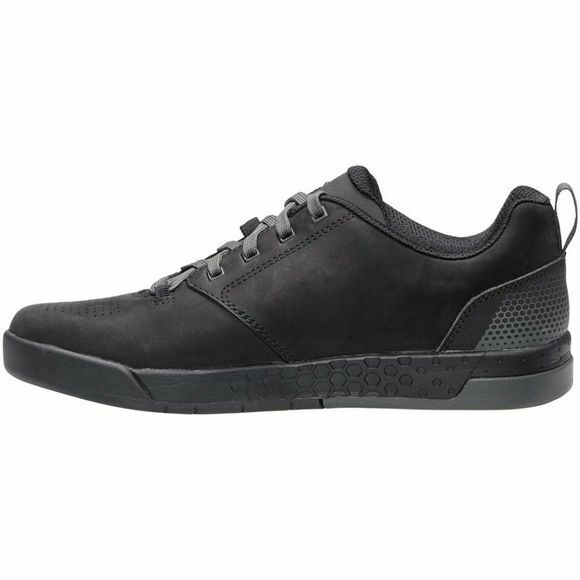 Just the right sneakers and not just for downhill oriented mountain bikers who expect good traction when they need to carry their bikes. The Moab AM is made from high-quality, robust leather. The oiled nubuck leather from Terracare not only looks great, it also offers greater weather protection. Classic laces combined with the Ortholite insole ensures an optimal fit. The insole features a harder PU foam at the midfoot for perfect power transfer to the pedal. A toe cap and heel cap protect from stones and other impacts. The EVA midsole has extra shock absorption at the heel for additional comfort and protection. The newly developed AM Flat sole takes you to a new level for ‘bike and hike’ adventures. The hexagon tread pattern at the midfoot combined with a soft SUPtraction flat rubber compound ensures perfect grip on the pedal to you can stay concentrated on the trail. In the toe and heel area, the sole has a deeper tread that provides the necessary traction when you need to carry or push your bike. The hexagon tread works like fish scales that wedge into the ground when walking for excellent traction whatever the ground surface. Terracare's certified leather comes from German production and features eco-friendly manufacturing. The lining materials contains 40% recycled materials. The comfortable Ortholite insert consists of eco-friendly Eco Plush PU foam and 50% recycled polyester. Green Shape is your VAUDE guarantee for environmentally friendly products; made from sustainable materials and resource-efficient production.